Should I Buy Insurance Online? The time has come where your child or children are starting to drive. This can be an anxious time for many parents! Fortunately, your Bordelon Insurance agent has been waiting for this call from you since we learned that “Junior” was nearing driving age. 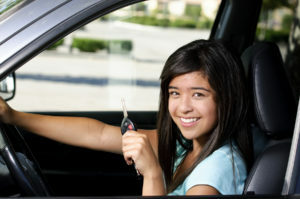 Talk to a Bordelon Insurance agent today about teen driver insurance in Washington. Learning to be a safe driver is more than spending a lot of time behind the wheel. Safe driving starts with being a great example for your children and then spending the time to talk to them about the rules of the road before they even take the wheel. It is important to talk to your children about the privilege to drive. Many teens feel that driving is a right that can’t be taken away. Tell your children about the increased regulatory laws regarding teen driving in your state. Just one ticket or accident could mean the end to your child’s teen driving. Insurance premiums often TRIPLE for teen driver insurance from a single ticket for speeding or an accident making it nearly impossible to cover the cost of them driving. Make sure you talk to your teen about the cost of insurance so they understand the importance of not only driving safe to keep their premiums low, but driving safe just for the sake of being safe. Cell phones, other passengers, other drivers, poor weather… the list of distractions for your young teen driver can be daunting. Leading by example can be the best way to show your teen driver that driving is meant to be taken seriously, and that safe driving means not talking or texting on the cell phone. We wish your teen the best of luck out there! Remember, we’re always here to help you or happy to talk to your teen about the impact certain driving behavior can have on their insurance premiums.